What distinguishes these GPS from other hand-held GPS (which could also very easily be used for marine purposes) is their ability to float. Any hand-held GPS can be used as a marine GPS because they will all withstand being in water to the depth of a metre for up to 30 minutes. quatix 3 GPS smartwatch belongs on the water. Equipped with important cruising, fishing and sailing capabilities, its appearance commands attention, even on land. 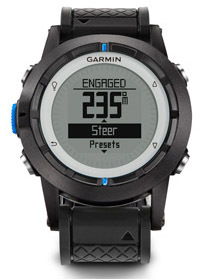 More than a watch, it's a wearable instrument that streams data from compatible Garmin electronics. This smartwatch features a fish catch counter and competition timer, race timer, start line and tack assist for sailors, plus an anchor watch to warn you of drifting. This easy-to-use handheld is the perfect navigational solution for boats, sailboats or small watercraft that do not have a chartplotter. Use on land or water � it floats! Features SailAssist, including virtual starting line, heading line, countdown timers and tack assist. The GPSMAP 78 features crisp colour mapping, a high-sensitivity receiver, new molded rubber side grips, plus a microSD� card slot for loading additional maps. 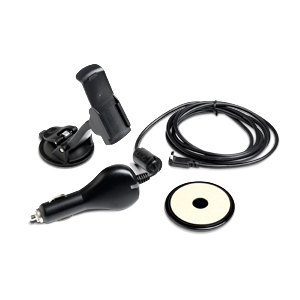 The GPSMAP 78s features a 3-axis compass, barometric altimeter, a high-sensitivity receiver, moulded rubber side grips, plus a microSD� card slot for loading additional maps. The GPSMAP 78SC features a high-sensitivity receiver, new moulded rubber side grips, nautical charts for New Zealand and Australia, plus a microSD� card slot for loading additional maps. The first GPS satellite was launched in December, 1978. Each satellite weighs approximately 1,000 kilograms and is about 8 metres across with the solar panels extended. Transmitter power is only 50 watts, or less! All you ever wanted to know about GPS. If you've got a question to which you can't find an answer, then email and ask us. We'll do our best to answer. The accuracy of a position determined with GPS depends on the type of receiver. Most hand-held GPS units have about 8-15 metre accuracy. When the system was created, timing errors were inserted into GPS transmissions to limit the accuracy of non-military GPS receivers to about 100 metres. This part of GPS operations, called Selective Availability, was eliminated in October 2000.
store All prices are in NZ$ including GST. MapWorld is not liable for any inaccuracies in this information.